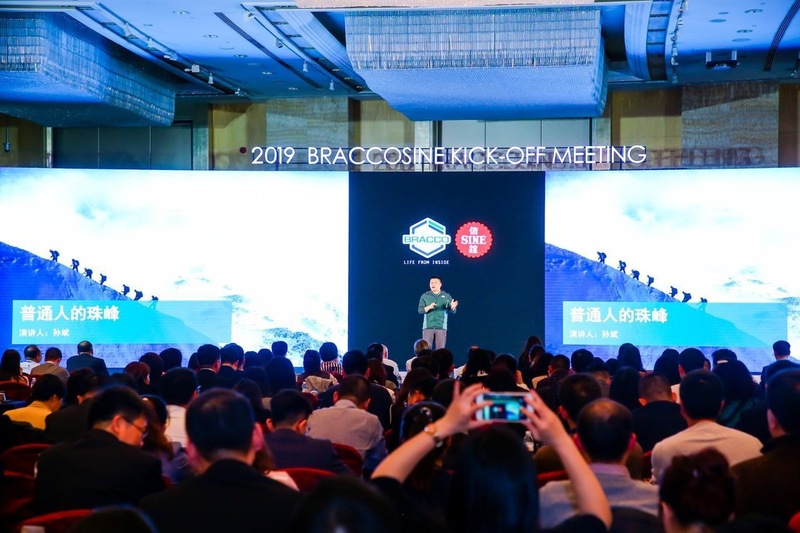 Chinese explorer, Sun Bin, spoke at corporate annual kick-off meeting in China to inspire the team on teamwork, facing challenges and winning. 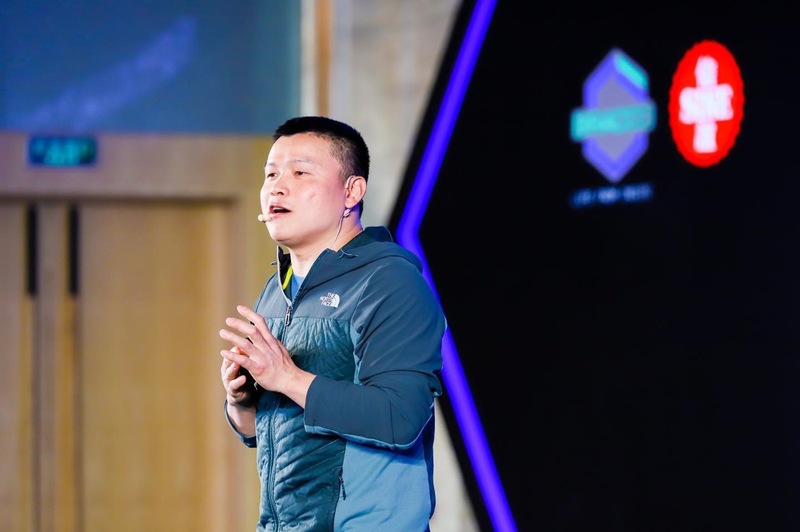 Sun Bin 孙斌 is a renowned mountaineer based in Beijing, and he has also been the coach of the national mountain climber team. He now runs his own expedition company from Beijing and is a “The North Face” athlete. He started his climbing career in 1997, when he joined the climbing club in Peking University. After graduation, he joined the Chinese Mountaineering Association(CMA) as an instructor. Since then, he guided many Chinese for their their first high altitude climbs in western China and all over the world. He was also involved in setting up rock climbing, ice climbing, mountaineering courses in China. In 2006 – 2008, he worked for the Beijing Olympic Committee as the project manager of Torch Relay on the top of Mt. Everest. After completing the Olympics committment, he left CMA and set up his own adventure company to guide Chinese climbers for the 7 summits. In 2012, he set up a climbing school called “Summit Outdoor School”, a non-profit organization, to provide free courses for local villagers/mountain guides/university students. Sun Bin has been sponsored by The North Face and Black Diamond. 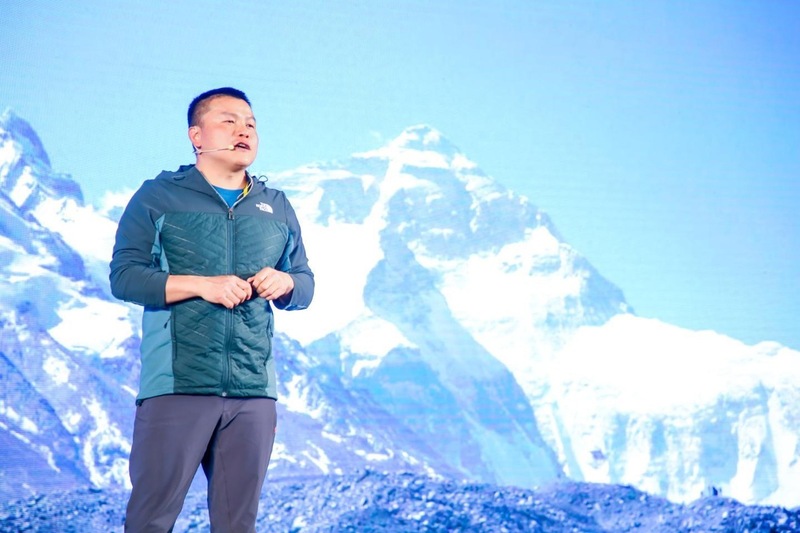 In the past ten years, he set up some new routes in the remote area in Southwest China, such as a new route on the south face of Mt. Siguniang (6250m) in Sichuan, several new routes on Mt Baima (5430m) in Yunnan Province. As a guide, he finished the 7 summits twice. Contact us if you would like Sun Bin to inspire your team.